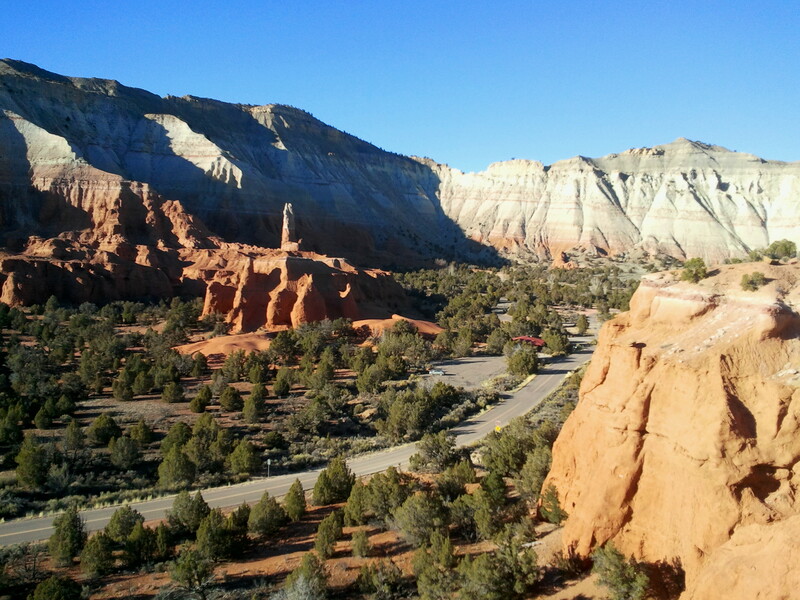 Like many places in Utah, the ragged badlands and towering spires of Kodachrome Basin State Park are best viewed and photographed in the late afternoon. At Kodachrome, the perfect spot to watch the evening sun wane over the basin (especially in winter) is along the Angel’s Palace Trail, a 1.3- to 1.5-mile hike that boasts some of the area’s finest views. 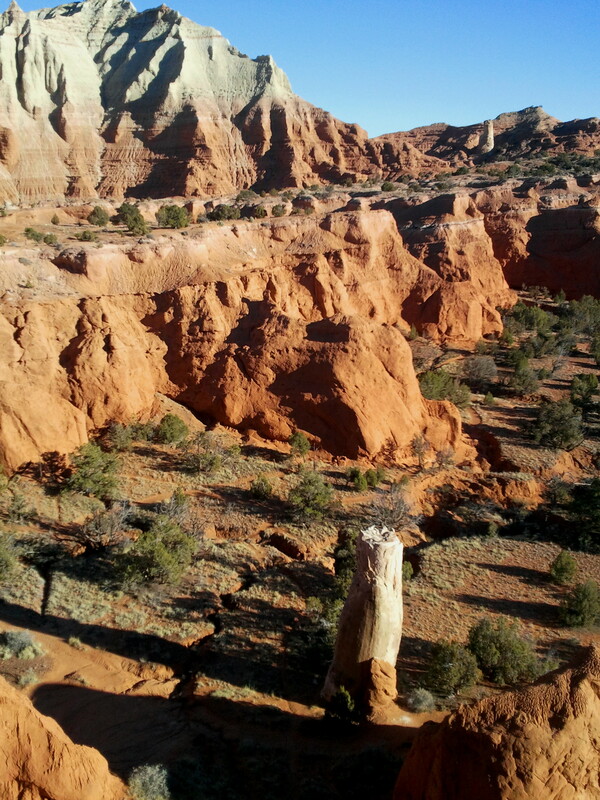 Whereas the nearby Grand Parade Trail forms a loop around the base of the orange Entrada sandstone cliffs, this hike travels atop them. 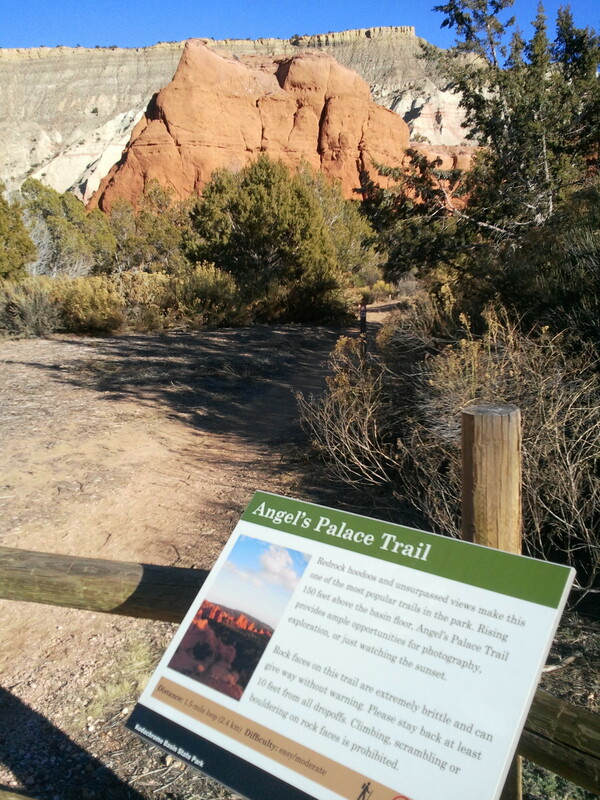 The Angel’s Palace hike begins and ends at the Nature/Angel’s Palace Trailhead, one mile north of the Kodachrome Basin Visitor Center. Park on the left-hand side of the road near the entrance to the shady Nature Trail, but cross the street to the east side to begin the Angel’s Palace Trail. 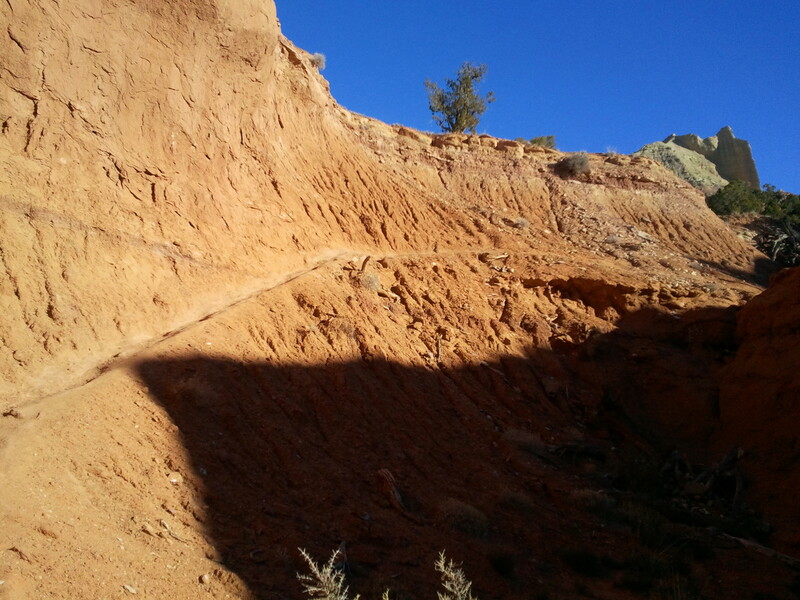 The wide, sandy path remains mostly level for the first 0.2 mile as it enters a small canyon lined with buttresses of orange sandstone (there is a short bridge over a perennial stream near the beginning). At the head of the shady ravine, the trail begins its 150-foot climb, first by gradually ascending the left-side wall, then switchbacking over to the right. The trail flattens out as it nears the top of a ridge, following the north-facing slope for another 0.2 mile out to the end of a bend. The trail here can be hard to follow, as the zig-zag on the map indicates. This is due to the presence of at least two bypasses over the spine of the ridge that cut off part of the lengthier route circling around the head of the ridge. If following the main trail as marked, it is roughly 0.6 mile from the trailhead to the first of several south- and west-facing overlooks. A short spur trail diverges from the main route and climbs to the end of a pencil-thin promontory that is perhaps best avoided by the acrophobic. 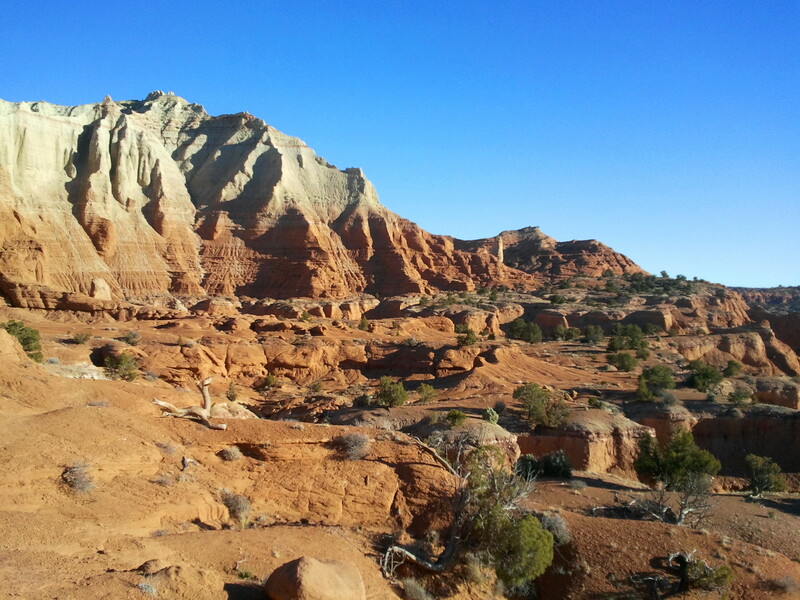 Though the approach is a bit harrowing, this vantage point offers splendid views of the basin below, including white Entrada badlands off to the north and a cluster of small buttes and spires to the south. 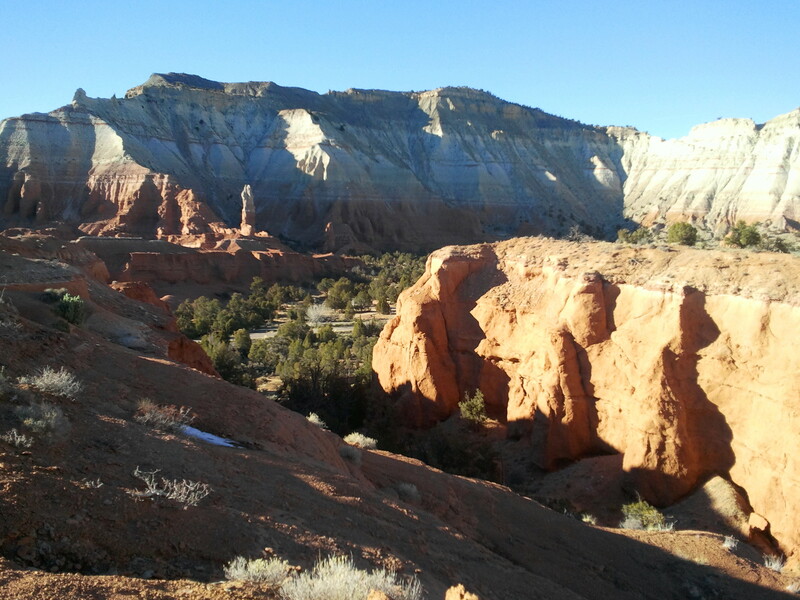 On clear days, a portion of the Pink Cliffs of Bryce Canyon National Park is visible on the horizon. Sprinkled across the basin are prominent “sedimentary pipes,” vertical spires characterized by their off-white color and mysterious origins. There is one such pinnacle at the base of the cliffs on the south side of the overlook (the Grand Parade Trail below passes right beside it). 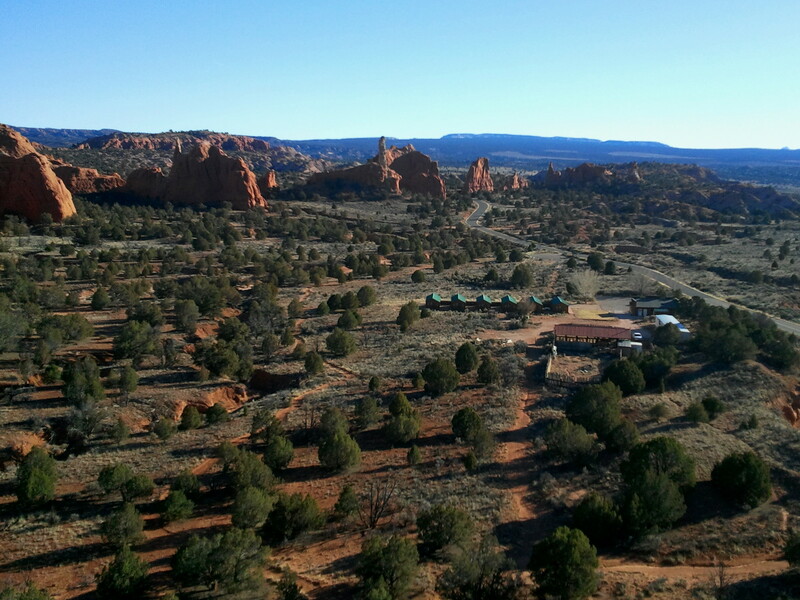 After soaking in the vistas, return to the main trail and continue east across sand and gently-sloping slickrock to the loop section of the hike, a 0.2-mile circuit that features at least three marked viewpoints. Follow the signs around the loop. The first overlook on the loop is similar to the prior one, though you are now a bit closer to the throng of buttes and spires off to the south. 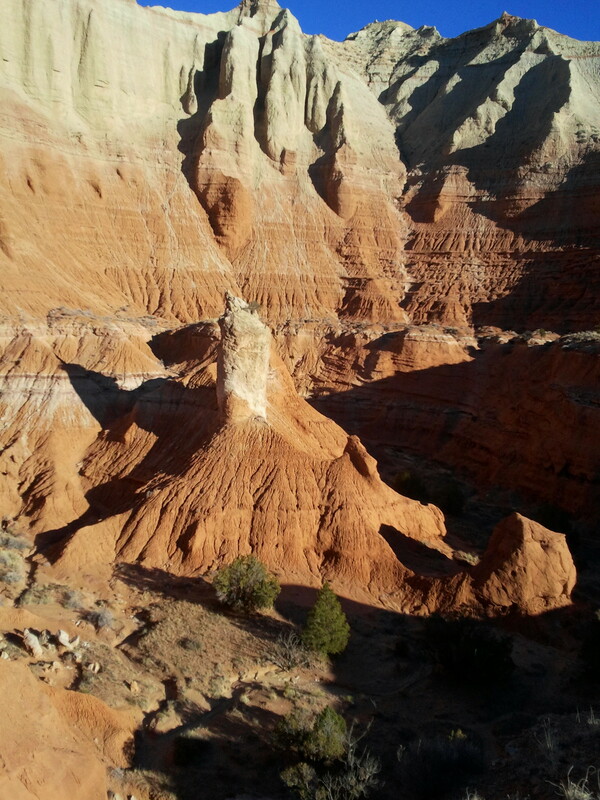 The other two viewpoints—each tiny spurs off the main loop—offer vantages of an interesting box canyon featuring at least two sedimentary pipes. The Gray Cliffs, rising around 800 feet from the basin floor, dominate views to the east. 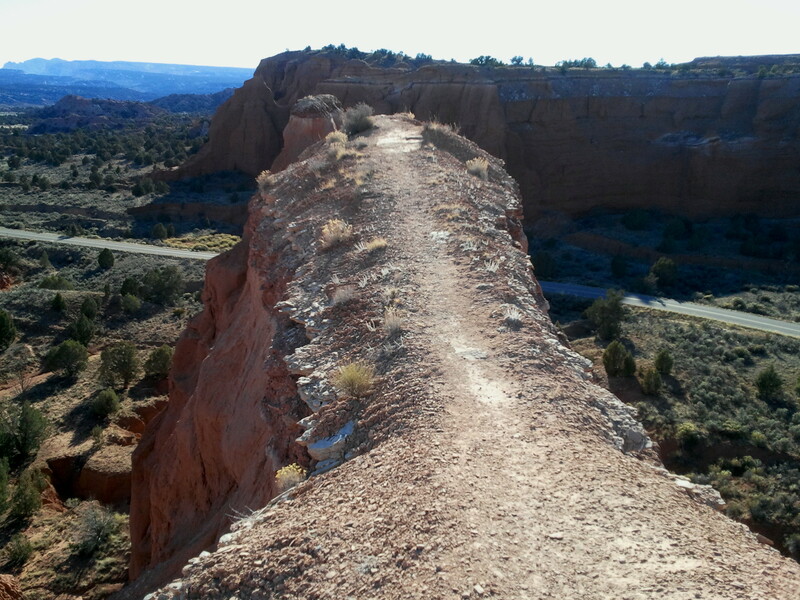 The final leg of the loop climbs rather steeply up a small ravine to reconnect with the original out-and-back trail. After completing the loop, retrace your steps back west to a point where it is possible to climb up and over the short ridge (there are at least two such shortcuts). This will save you the somewhat tedious journey back around the bend at the head of the ridge. All of a sudden, you are back on the north-facing slope and dropping down into the original entrance canyon. From the shortcut back to the trailhead is around 0.3 mile—maybe a 5-8 minute walk. 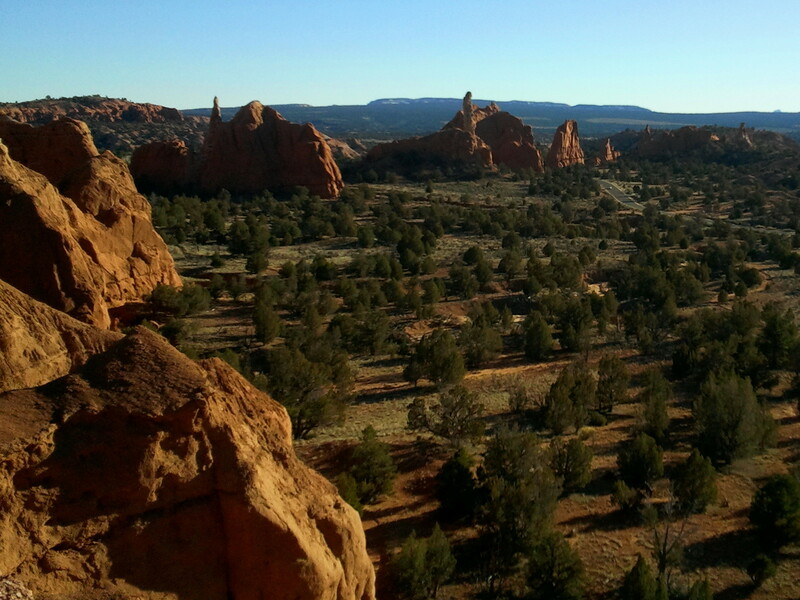 Try one of Kodachrome Basin’s four other maintained hikes, including the Grand Parade Trail, Panorama Trail, or Shakespeare Arch and Sentinel Trail. This entry was posted in Kodachrome Basin State Park, Moderate Hikes, Utah and tagged Angel's Palace, Angel's Palace Trail, box canyon, Entrada sandstone, Kodachrome Basin, sedimentary pipes, spire, Utah. Bookmark the permalink.